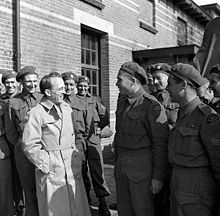 Even the father of Medicare, Tommy Douglas, fell victim to NATO propaganda. Final in a four-part series on the 70th anniversary of the North Atlantic Treaty Organization. 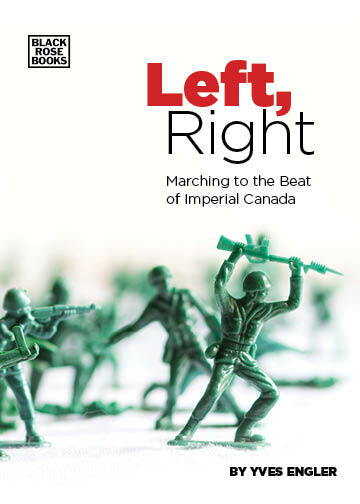 The first two installments discussed how NATO was set up to blunt the European left and to enable global dominance while the third focused on NATO’s role in spurring conflict and military spending. This article details the Left’s relationship with NATO. Party leaders did not only employ the power of persuasion. In addition to benefiting from the dominant ideological winds, the leadership employed the levers of power within the party. On one occasion, Coldwell threatened to resign as party leader if members did not support the North Atlantic treaty. When a group of Manitoba CCF members, including individuals elected to the provincial legislature, organized an anti-NATO group the provincial secretary blocked their access to the party’s mailing list. Federal MP and future party leader, Stanley Knowles also intervened to pressure the Manitoba CCF to punish prominent opponents of NATO and the provincial party expelled two former members of the Manitoba legislature for campaigning against the North Atlantic accord. 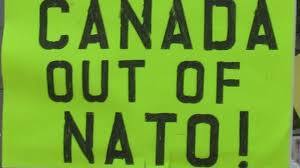 Two decades after its creation the NDP finally called on Ottawa to withdraw from NATO. But, its 1969 position was partially reversed in the mid-1980s, culminating in a 1987 “security” policy paper that equivocated on the subject. When members have submitted resolutions critical of NATO at recent NDP conventions they have been buried. In a 2015 federal election debate party leader Tom Mulcair called the NDP “proud members of NATO” and said his government would make the alliance a “cornerstone” of its foreign policy. There’s little indication that new leader Jagmeet Singh has changed the party’s position. The Green Party has questioned “maintaining membership in NATO” and called for “shifting our focus away from NATO war missions towards UN Peacekeeping contributions”, but they don’t appear to have explicitly asked to withdraw from the alliance. The Communist Party and other smaller Left parties have called for withdrawing from NATO. Through the 1960s the CLC continued to back NATO. It wasn’t until 1976 that the CLC “urged the federal government to … deemphasize the military role of the North Atlantic organization.” In recent years the CLC and its affiliates have said little about NATO. A number of peace organizations – Pugwash Canada, Project Ploughshares, etc. – have taken ambiguous positions towards NATO. The president of the antiwar Rideau Institute Peggy Mason attended all NATO Council meetings when she was a lead adviser to Progressive Conservative MP and foreign minister Joe Clark from 1984 to 1989. During a 2012 National Defence Committee parliamentary meeting Mason noted, “I’m talking as someone who has spent the better part of the last 10 years working with NATO.” The Rideau Institute president trained NATO commanders for peace and crisis stabilization operations and, according to Mason’s LinkedIn profile, continued in this role after taking over RI. For their parts, the Canadian Peace Congress, Canadian Voice of Women for Peace, Canadian Peace Alliance and others openly call for Canada to withdraw from NATO, which shouldn’t be a controversial position for progressive organizations. Though it would elicit howls of outrage from the militarists, withdrawing from NATO would not be particularly radical. European countries such as Sweden and Finland aren’t part of the alliance, nor are former British dominions Australia and New Zealand, not to mention Canada’s NAFTA and G7 partners Mexico and Japan. Still, withdrawing from NATO would dampen pressure to spend on the military and to commit acts of aggression in service of the US-led world order. It’s long past time to do so.